Every month women all over the world deal with pain from menstrual cramps. Each and every one of those women will tell you they want very much to reduce menstrual cramps. If you are one of these women, here are some ideas that may help you reduce menstrual cramps and help you enjoy every day! Some of these ideas may be new to you. The good news is that many of them bring additional health benefits besides helping to reduce menstrual cramps. We hope when you try them you will be pleased with the result! Many women in the US are lacking in omega-3s and B vitamins. Besides their benefits for disease prevention and general health, these nutrients can also reduce period pain, according to one Danish study. This study dove into several options for cramps, researching the effects of seal oil, fish oil, fish oil with vitamin B-12, and a placebo. Researchers assigned each of the women to one of these groups at random and studied the effects for 6 months. Each woman took 5 capsules per day throughout 3 monthly cycles, rating their pain each month. Then, they stopped taking the vitamins for 3 months to see the effects. Interestingly, the researchers found that women taking any of the oils had reduced their pain versus the placebo group. However, the fish oil and vitamin B-12 group had the best results with effects that lasted even when they stopped taking the vitamins. For now, the researchers recommend increasing fish intake for general health, but you could run into a few other benefits along the way. Getting enough magnesium in your diet is essential. Magnesium regulates the function of nerves and muscles, both of which are involved in the menstrual cycle. It also helps in preventing water retention, a common complaint for many women during their periods. Several small studies on magnesium have shown promise, including one performed by the NIH. Researchers studied 50 women, putting half on a regimen of increased magnesium. After 6 months, 21 of the 25 women reported lessened PMS. To make sure you’re getting enough magnesium, eat foods such as leafy greens, bananas, pumpkin seeds, avocados, and dark chocolate. Consult your doctor before taking magnesium supplements, or any other supplement, for that matter. Since the ancient times the midwives used raspberry leaf during pregnancy and to ease the menstrual cramps and discomfort. It is known to strengthen and tone the uterus, detoxify excess hormones and is also incredibly rich in iron, magnesium and calcium. Have a cup of raspberry tea leaf every day to alleviate your menstrual discomfort. Sip on two cups during your periods, it not only eases pain but also calms your body and mind. 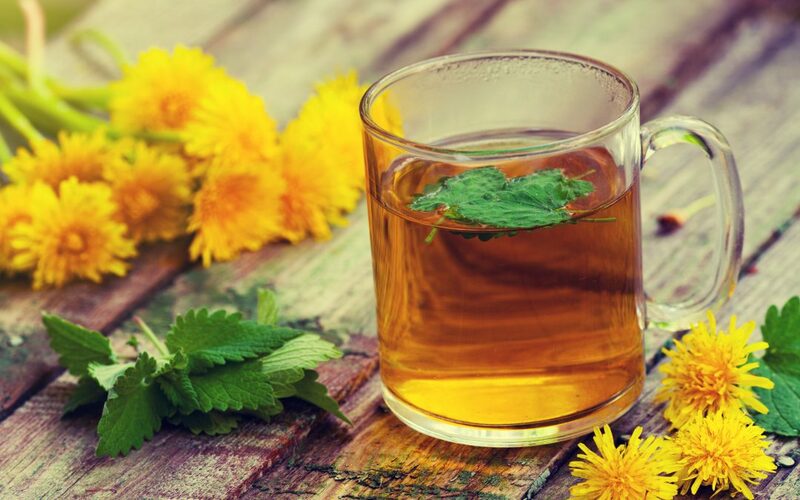 If you feel extremely bloated and witness water retention then dandelion tea can be a great herbal remedy for bloat relief and detox. Your grandma was right, a heating pad or a hot water bottle is really effective when the period pain strikes. Placing a heating pad on your lower abdomen and lower back relaxes the contracting muscles reducing pain. You can also take a hot shower to make you feel relaxed and relieve your pain. What home remedies have you used to reduce menstrual cramps?